Following a career designing costumes for ballet and theatre, Annie graduated in 2008 with a Masters in Costume Design from the London College of Fashion. During this time she won a bursary from the Costume Society of England for a research project which resulted in an interpretive laboratory performance exploring the S-bend corset of 1906. This project gave her access to many unique museum collections and was pivotal in a change of career focus. In 2008 she was appointed Interpretation Manager at Rochester Cathedral following the successful HLF grant application for £937,000 for a project entitled Ancient Stones, Untold Stories. The project was a multi-layered re-interpretation of the cathedral building and history. Having spent many years interpreting and communicating characters in performance, there are many parallels with heritage interpretation and her creativity ensured that this project dispelled some of the myths about cathedrals and their purpose, ensuring a new generation of audiences were able to engage with and enjoy the space for years to come. The project won a Medway Culture and Tourism Award in 2010 for Tourism. In 2010 following a relation to the West Country Annie began her consultancy and since then has worked for a variety of clients locally and further afield. 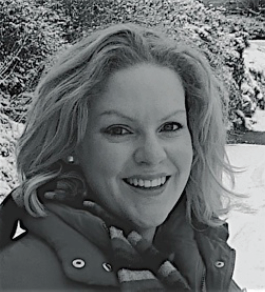 She has written and delivered strategic plans in audience development, marketing, volunteer management, as well as feasibility studies, outreach programmes and has written and project managed an accredited training programme for cathedral guides. In 2012 she returned to Rochester Cathedral to oversee the Exhibition and Interpretation plan for a second HLF bid for the project entitled Hidden Treasures Fresh Expression, which was successfully awarded in 2013. This was £3.5 million project encompassing a brand new permanent Treasury exhibition with the prestigious Texts Roffensis at its heart, as well as extensive capital works and is due to open in 2016. ​Other clients include Tunbridge Wells Museum and Art Gallery, City of Westminster College, Cubert Church and the Cornwall Lord Lieutenancy, for whom she project managed and delivered a county-wide art competition for all young people to celebrate Her Majesty’s Diamond Jubilee in 2012. This project included volunteer students from Plymouth University which sponsored the event together with BBC Cornwall as a media partner, and prizes were awarded by the Duchess of Cornwall.